The house consists of 4 bedrooms and 3 full bathrooms. 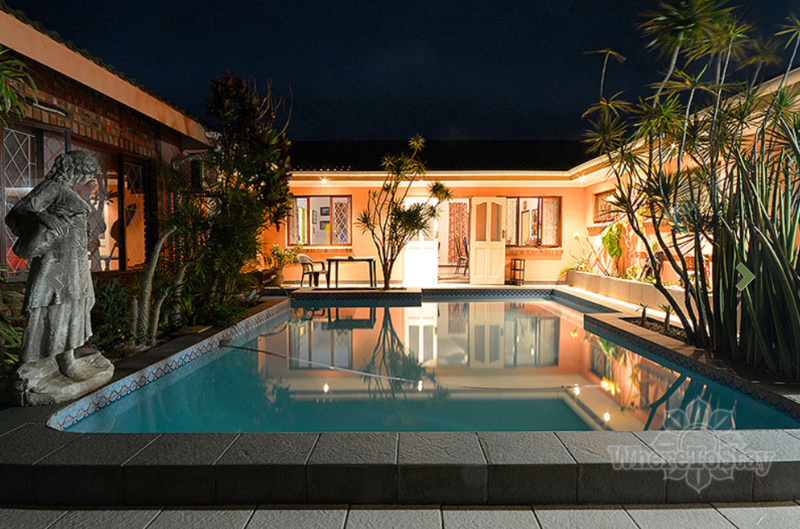 The house is fully air conditioned – the main bedroom is air conditioned, ceiling fan, en-suite with a queen bed, bedroom 2 has a queen bed with air-con and bedroom 3 two twin beds with air-con, bedroom 4 has queen bed with bunk beds and en-suite bathroom, air-con.. The large open plan kitchen/lounge/dining area is air conditioned – the kitchen is fully fitted (microwave, fridge, separate chest deep freeze, etc.). It is serviced on a daily basis, full DSTV, Wi-Fi, private pool and BBQ area and within walking distance to all shops and restaurants. Your pets are always welcome! !